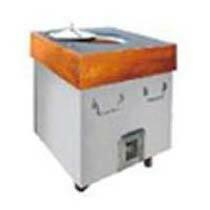 We bring forth the remarkable range of Stainless Steel Tandoor. We are quality-oriented organization and being so; we ensure to design and develop Stainless Steel Tandoor beyond excellence. Our Stainless Steel Tandoor has gained appreciation for its hassle-free operations and longer functional life.